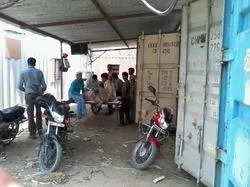 Established in the year 1999, at Delhi, India, we, “J K Technologies Private Limited”, are recognized as the prominent Supplier, Manufacturer, Exporter & Trader of a broad assortment of Flat Racks, Aluminium Lined Container, Office Container, Industrial Cabin. 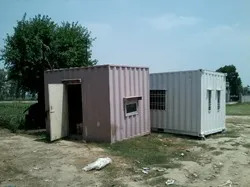 We also provide Container Conversion Service and Container Sale and Hire Service. These products are manufactured and designed under the guidance of skilled team of professionals using high grade raw materials and latest technology in accordance with international quality standards. Our team of procuring agents procures raw material of optimum quality from reliable and certified vendors of the market. These products are appreciated for robust design, sturdy construction, less maintenance, high durability and reliability. We offer these products in various specifications in terms of size, shape and dimension in order to meet the variegated needs of the clients. We export our product across the country like Saudi Arabia, Africa, Dubai, Sri Lanka, Bangladesh, USA etc. We have developed a state-of-the-art manufacturing unit that is spread over a wide area. Our infrastructure is segregated into different departments such as manufacturing, quality control, R & D and warehousing & packaging departments. Our production facility is well equipped with the ultra-modern machinery and latest technology that assists us in meeting the large-scale and urgent orders of our clients within the assured time frame. In addition, we regularly upgrade the installed equipment in order to improve the production capacity and quality. We have deployed a team of hardworking & dedicated professionals, who works together in close coordination with clients in order to meet their respective demands. These professionals are hired on the basis of their skills, past experience etc. Professionals working with us hold expertise in their respective domains. To ensure smoother operations and high production rate, we have segregated our team into various departments like engineers, technicians, quality controllers, storekeepers, etc. Our team of highly skilled and qualified personnel works hard with dedication in order to achieve the organizational goals. Our offered products are complied in line with international quality standards, we have set-up a quality-testing unit that is manned by our skilled professionals. This unit carries out quality inspection at every stage, whether it is procurement of raw material, packaging and dispatch of finished products. The entire range of offered products is broadly appreciated all across the country for its unmatched quality. Our offered products are fabricated with the specifications laid down by the clients with the assured quality. We have wide distribution network that helps us in supplying these products within the predetermined time frame. Our sophisticated infrastructural facility makes us capable of handling bulk orders of the market and clients. We have established a robust infrastructure that are installed with various modern facilities which assist us to carry out our manufacturing activities in a well organized manner. Further, we have segregated our infrastructural base into various major departments such as a production, procuring, research and development, quality testing and warehousing and packaging departments. Ultra-modern machines and advance technology assist us to manufacture the best quality products. Throughout our industrial exposure, we have been dealing only with industry's most trustworthy and reliable vendors. These vendors practice fair & transparent business practices and use only high grade raw material to manufacture their products. Before forging ties, we hold extensive market research to gauge a vendors' credibility in the market, his production quality, variety in products and on-time delivery capability. Before procuring, our auditors ensure that each product passes the international quality standards and is in adherence to the expectancy of the clients. With a large vendor base at our disposal, we are therefore capable of delivering our products expeditiously and according to client demands.